Agents with the Tennessee Bureau of Investigation were called to the scene of an officer-involved shooting in Greenbrier. According to TBI agents, it happened Friday afternoon during an undercover drug operation by Greenbrier Police officers on the 2500 block of Highway 41 in downtown. Officials say a subject of the bust tried to flee the area in a vehicle, hitting the undercover officer. The officer then pulled his gun and fired into the subject’s vehicle at least once, hitting him. The suspect was taken to a local hospital with injuries that were not believed to be life-threatening. An officer underwent medical treatment for exposure to a substance, believed to be heroin. Doctors were still evaluating the officer who was hit by the vehicle. 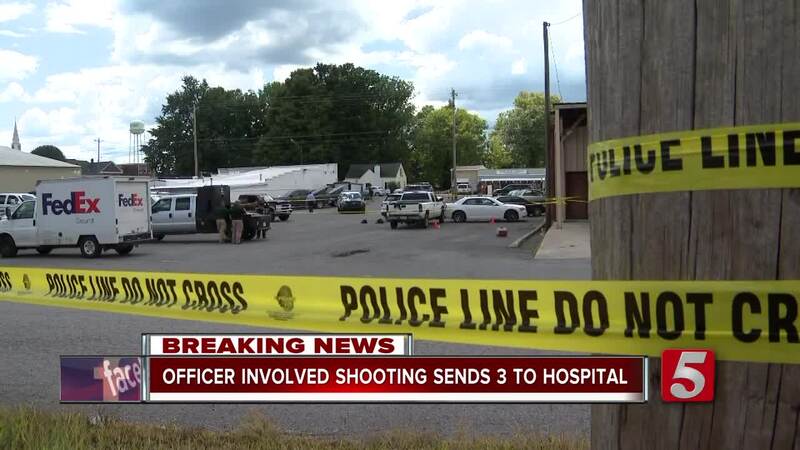 Friday night, a second officer-involved shooting happened in Middle Tennessee when a man was shot and killed in Fairview .